Matt’s diverse background enables him to structure a transaction that achieves our client’s economic and non-economic objectives. Prior to attending law school, Matt was a teacher and coach. To this day he sees parallels between the attributes required to effectively lead a client through a transaction and the attributes required to effectively teach students and coach athletes. After law school, Matt practiced commercial law for twelve years with Verrill Dana LLP, a full-service law firm with over 130 attorneys and offices in Portland, Boston, Providence, Westport, CT, and Washington, D.C. He was a partner, department chair, and member of the firm’s five-person executive management committee. Prior to starting Leaders, Matt was a partner of a boutique private equity and family office firm, where he was active in the management of the firm’s portfolio companies. His experience working in the operations of manufacturing, distribution, and professional service businesses contributes to his ability to understand the businesses, challenges, and objectives of our clients. In addition, because Matt recognized the valuable role that a neutral negotiation facilitator can play in the fragile context of a sale, merger or shareholder buyout, Matt went back to school to develop skills as a neutral: He received his formal training at Harvard Law School (PON) and Northwestern University. Leaders recently served as a neutral in the complex merger of two family-owned companies operating in several states along the Atlantic seaboard, facilitating the negotiation of financial, organizational, and transaction issues. Matt was born and raised in Lincoln, Massachusetts, a small town nestled between Lexington and Concord—the birthplace of our nation. He now lives in a small town on the coast of Maine, where he serves on the Town’s Planning Board, enabling him to contribute to the preservation of Maine’s natural resources through responsible residential and commercial development. Matt is also a Director of Bar Harbor Bank & Trust, a 125 year-old, publicly-traded community bank that embraces the New England values of hard work, perseverance and loyalty. 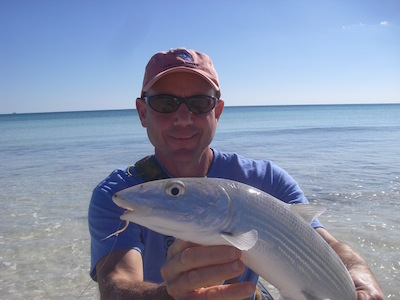 Outside the office, Matt spends his time fishing, for any species and in every type of water. He is married and has two grown, married children (and two grandkids! ).